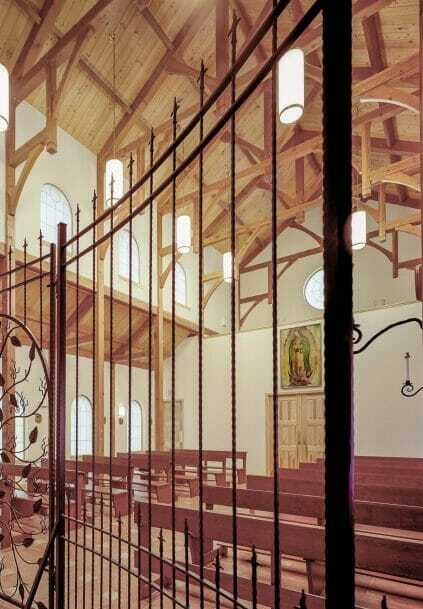 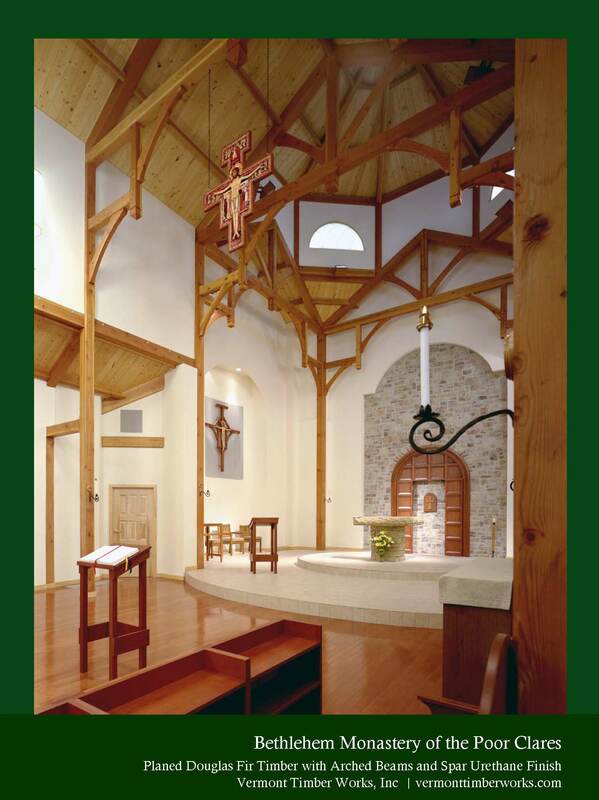 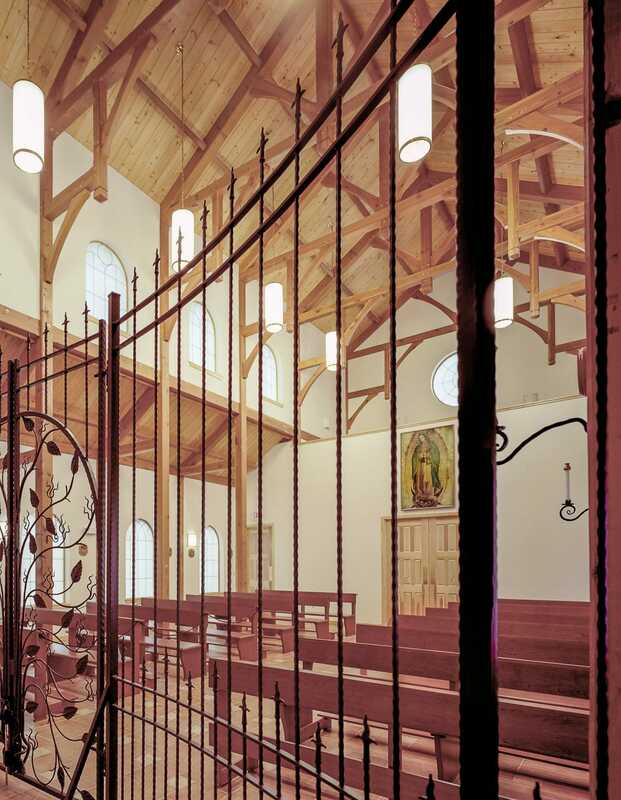 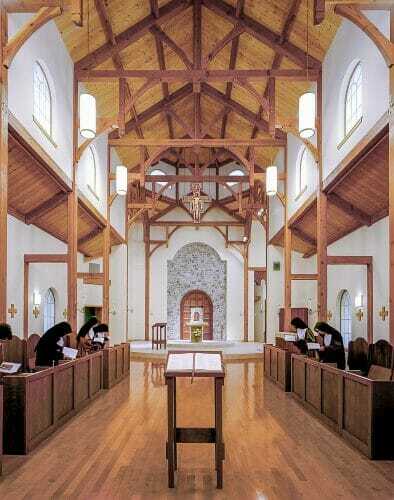 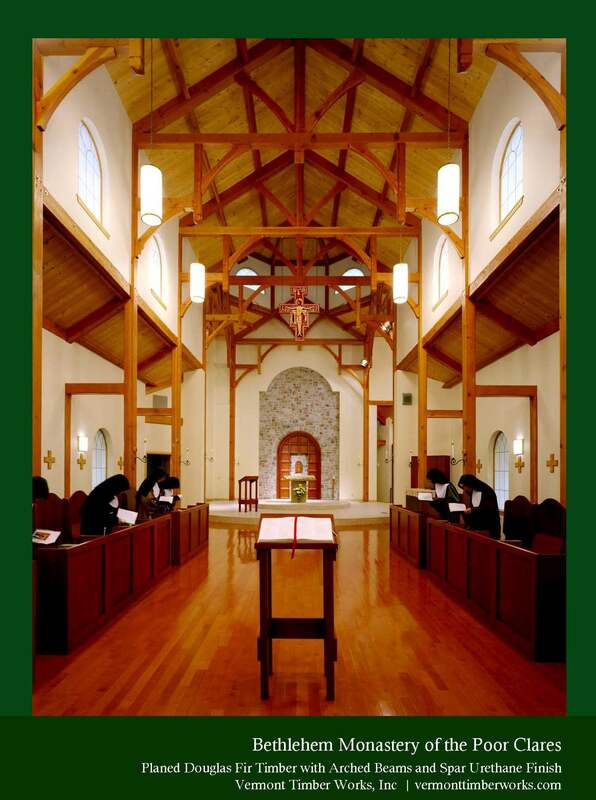 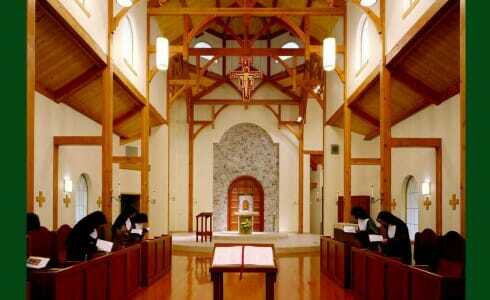 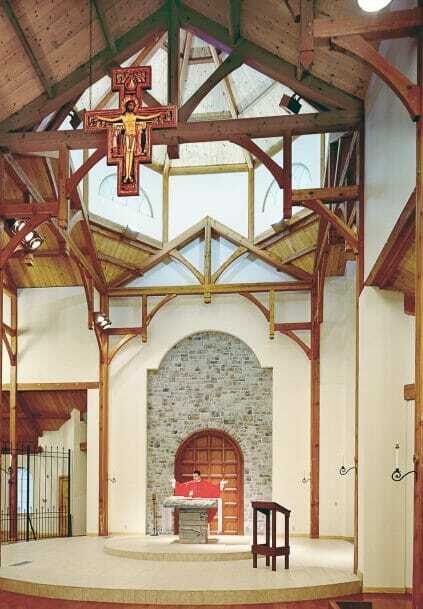 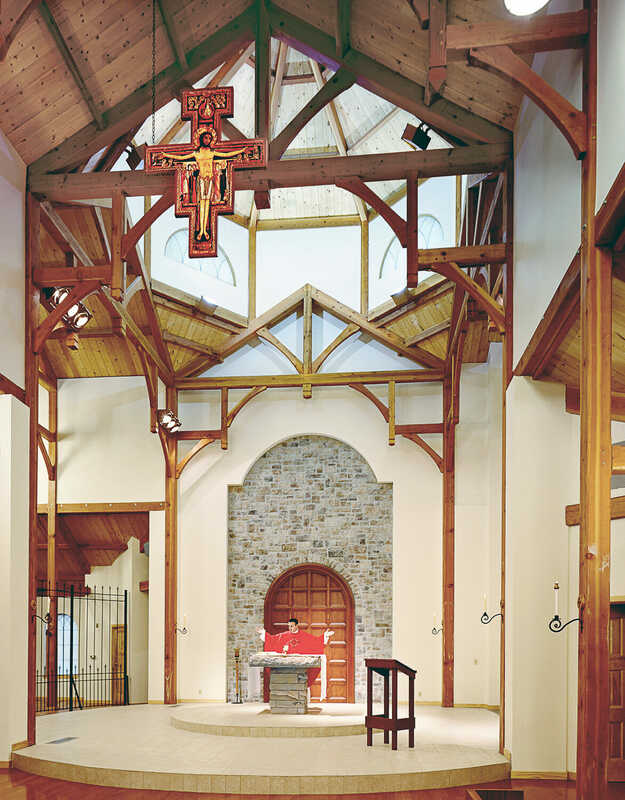 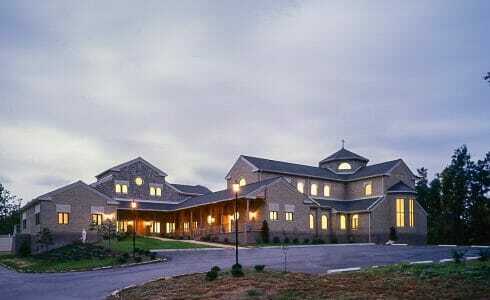 The Bethlehem Monastery of Poor Clares is in Barhamsville, VA. Vermont Timber Works constructed a douglas fir timber frame for the church. 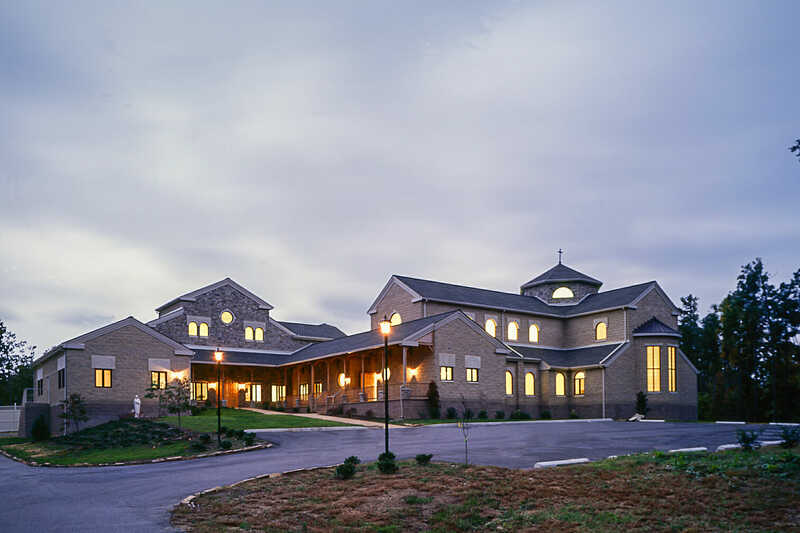 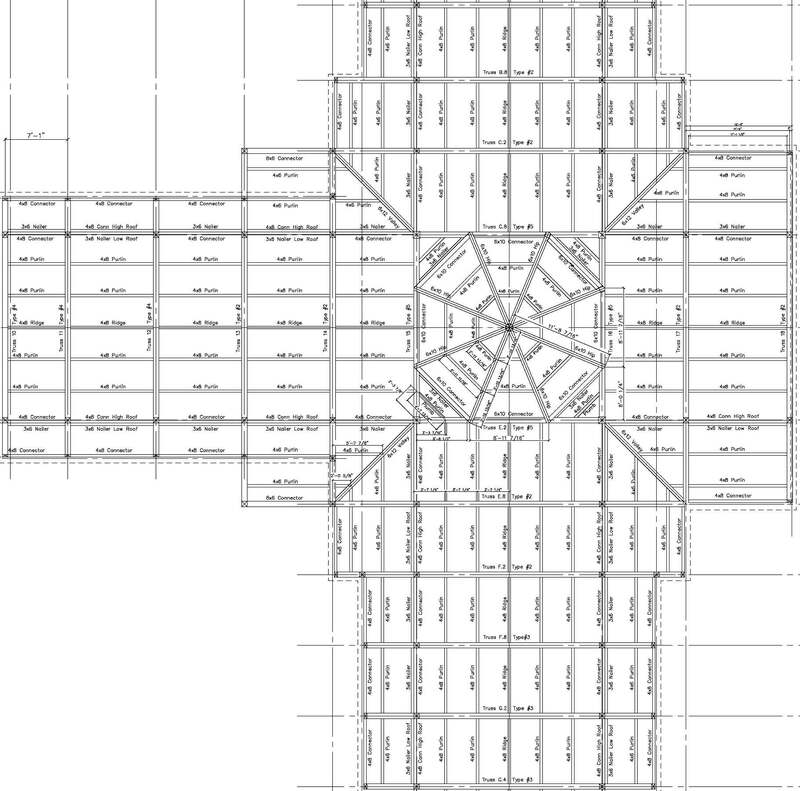 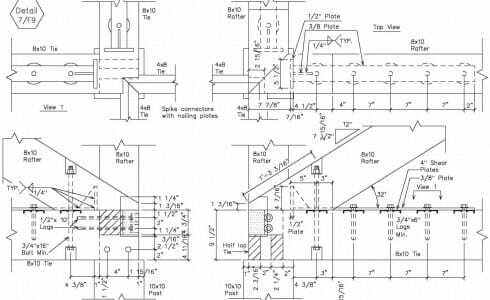 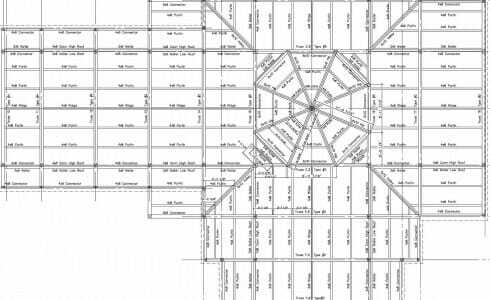 We worked with IMC Construction Company, Meyer Consulting Engineers Corporation, Engineering Ventures, Create Architecture Planning & Design and The Mills Building Corporation on this project. 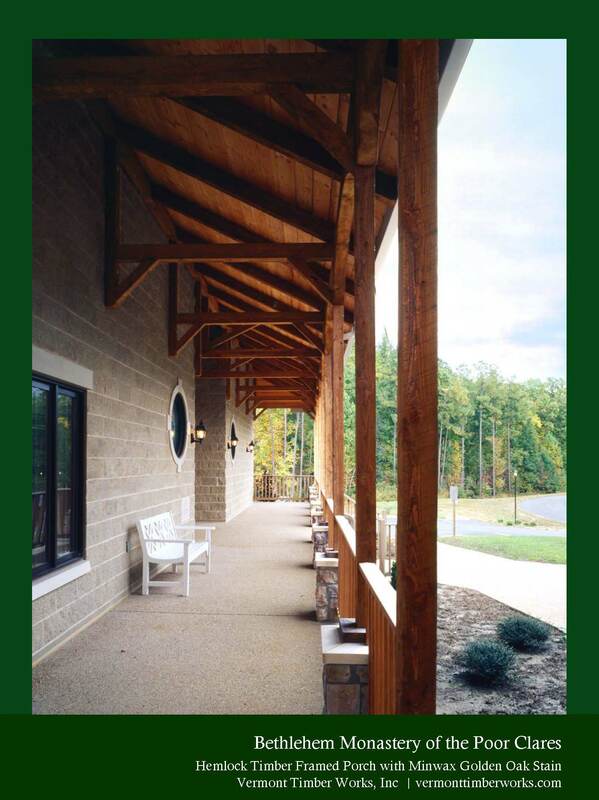 * Photo Courtesy of Wade Zimmerman. 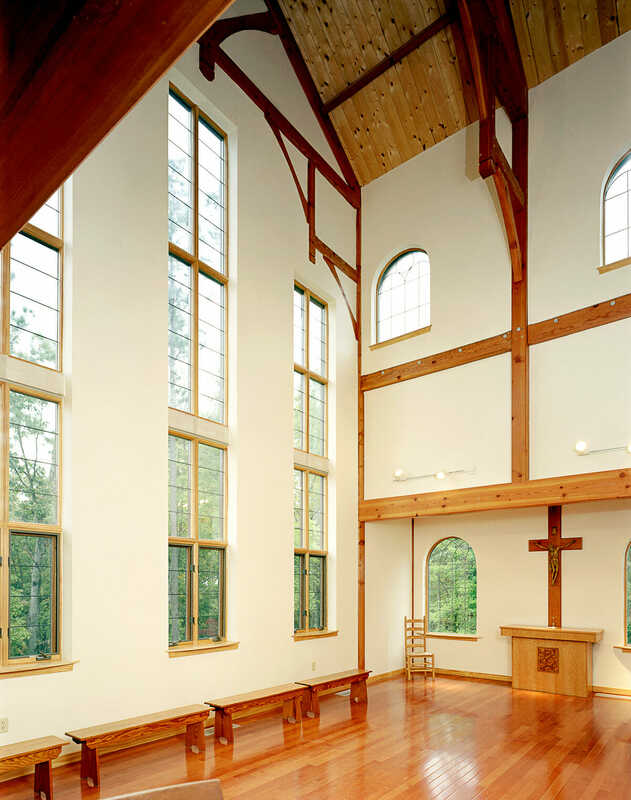 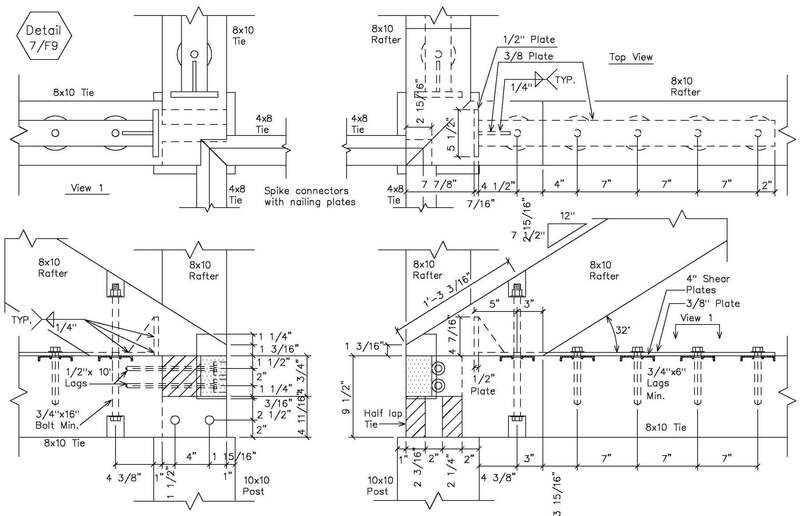 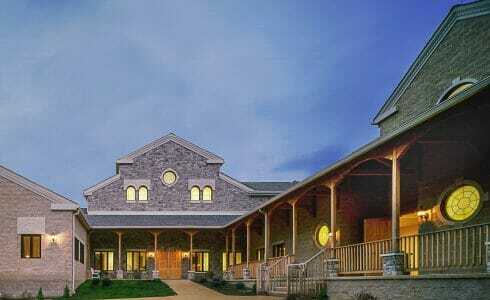 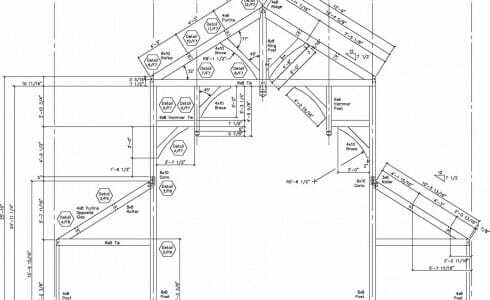 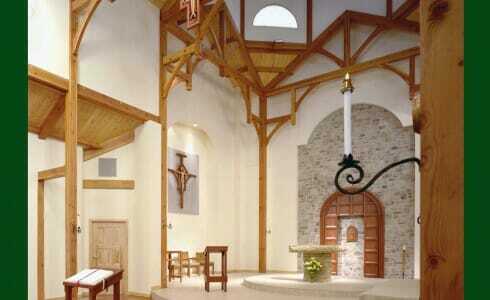 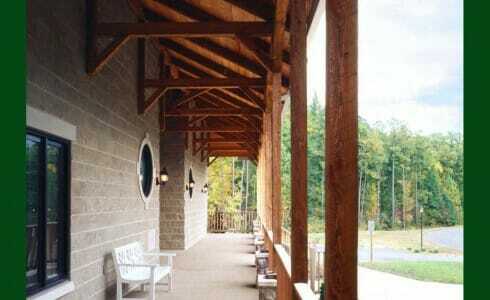 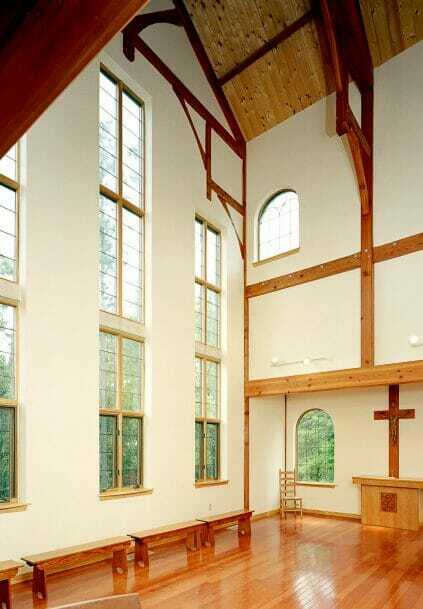 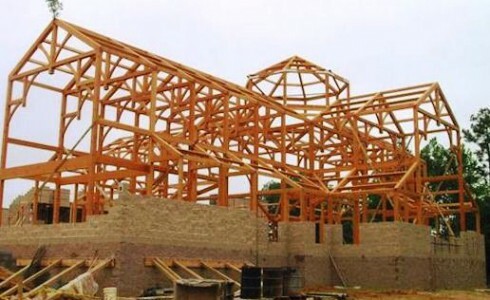 This timber frame features traditional wood joinery, a small bit of steel, and over 31,000 board feet of heavy timber. 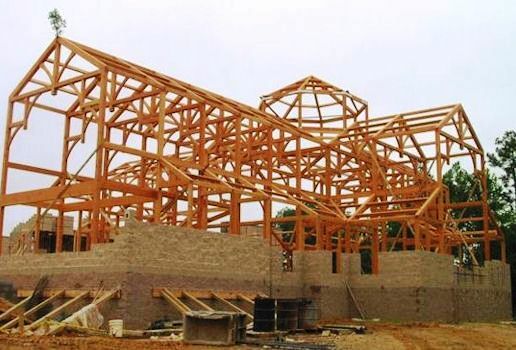 The 2-1/2 story frame reaches just shy of 45 feet at the top of the cupola.